Play Diamond Jackpots Slot and win three progressive Jackpots. And claim your 100 free spins bonus while you're at it. If you happen to be into classic Jackpot Slots, then Diamond Jackpots is the game you need to play today. On the surface, it’s just a simple online game with three lines, five reels, and only 10 paylines. But, if you look a little deeper, you’ll see some hidden treasures to discover. 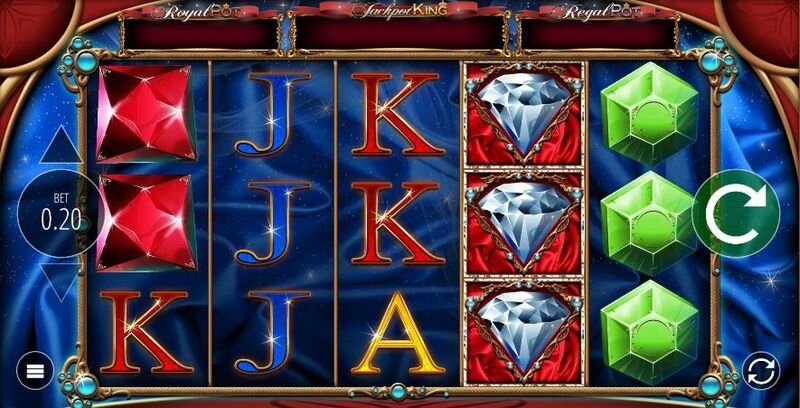 Read this Diamond Jackpots review to find out whether this is a Slot for YOU. Interested in Slot machines? Check out our list of the 25 best classic Slots in 2019. Those who are used to modern 3D Video Slots might find Diamond Jackpots rather simplistic. And I get that. After all, this Slot has no free spins rounds (unlike these bad boys), no Wilds, and only one bonus feature. But people still play it. Of course. The main charm of Diamond Jackpots lies in its… jackpots. But, before we discuss them, let’s take a look at the main stats of the game first. Note: This is a low-to-medium variance Slot. Which means that it’s suitable for all kinds of players, as it provides lots of opportunities to win frequently. 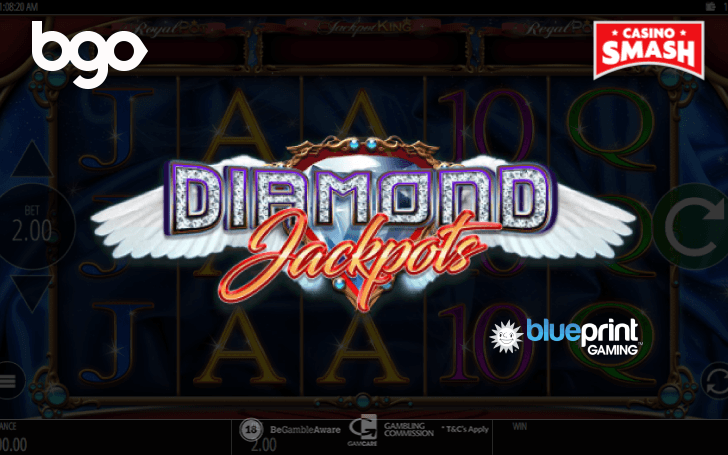 It’s easy to play the Diamond Jackpots Slot online. As it’s based on classic Vegas Slot machines, it doesn’t have any complicated betting options. The game’s 10 paylines are fixed, so all you need to do is to choose your bet and click the Spin button. You can also use the Autoplay function - especially if you play only for fun. You can choose from 10 to 100 automated spins. However, if you use real money, I suggest you play manually or choose a certain Loss limit to stop the reels before it’s too late. It’s time to talk about the payouts of the Diamond Jackpot Slot. On the reels, you can see the classic card symbols as well as a bunch of colorful gems. The game can pay you from 10 (when you collect three lowest-paying symbols) to 1,000 (if you gather five diamonds, the highest-paying symbol). The diamond of Diamond Jackpots also has a nice special feature. The full grid of diamonds pays 10,000 times your bet - and that’s quite awesome, if you ask me. Now, it’s time for the fun part. I’ll tell you how to trigger the Jackpot. Keep in mind that this feature is available only in the real money mode. 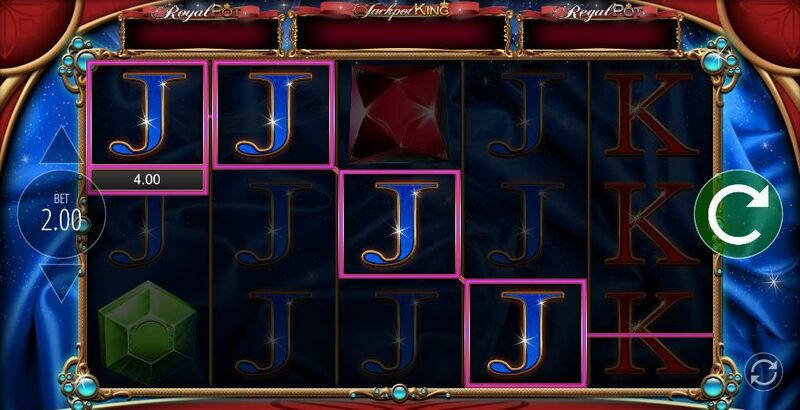 At any time, during any spin, you can trigger the Jackpot King Bonus when you collect five Jackpot King symbols. You’ll see the bonus coming, as the reels will turn red. Then, you will get to spin the reels again to collect golden crowns. 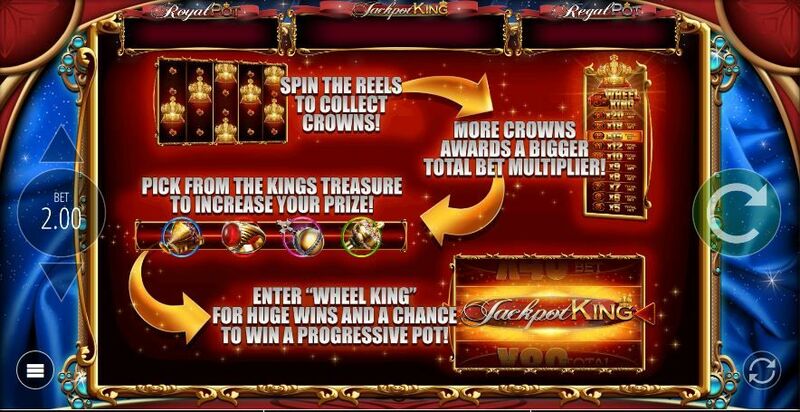 Once you gather 15 crown symbols, you’ll unlock the Wheel King section with a bonus wheel. See? Even though Diamond Jackpots might not seem like a lot at first glance, it’s actually a pretty neat game if you give it a chance. This video Slot is precisely what I’d call a diamond in the rough. You won’t find Blueprint’s Diamond Jackpots at every online Casino. That’s why I want to suggest you one. Play Diamond Jackpots at bgo Casino, the favorite gaming site of Paris Hilton. Make your first deposit of at least €10 and get up to 100 free spins with no wagering and no maximum winnings. You get two free spins for every €1 you deposit. Honestly, it’s one of the best (if not the best) free spins bonus I’ve seen. And I’ve seen hundreds of them.